In a dark and tiny room, a nearly 50-year old man is seen seated on a floor littered with crude work tools and attempting to bend the top part of what appears to be a wooden stick. He holds the stick in a makeshift clamp and then slowly bends it to the desired shape. Khamis bin Bilal bin Shambe Al Balushi, 47, takes the newly born walking stick and shows it in the light like it was a baby. You could almost say: Hey presto! What once looked like a formidable ram-rod straight stick had now a curve on the top part and was suddenly quite an agreeable and comfy looking walking stick. Khamis Al Balushi then posed for us, displaying how the stick, or rather the Asa (as it is known in Arabic; Asiya, plural) should be held and how a proper one should slightly angle away from the hip. The Asa is an integral part of an Omani man’s official wear. It has its practical uses or it can be simply used as an accessory during formal events. If an Omani man is attending an official function, or perhaps, an event or a ceremony, he is bound to carry the Asa. Even children sport them at official functions. If you go to a camel or a horse race in the interior, you will find almost all Omanis holding an Asa in his hand. Khamis had invited Black & White to his modest home in Qarat Balush area of Barka to witness how the Omani Asa was made and also to give us an idea of the various styles of this walking stick. Khamis entered the world of sticks when he was just a 12-year old. His father, Bilal Al Balush, was a master craftsman of the Asiya in Barka. “He was the most well known Asa maker in Barka and everything that I know today is what I have learnt from my father. Since it is a family tradition, I quickly began to grasp the art of stick making. Of course, it was not that easy, but I had in my father, an able guide, who wanted to pass on the legacy to his children and so I had him coaxing and urging me on to learn the art properly.” Other than his father, there was another master Asa craftsman, Salmin Khamis Al Balushi (who had passed away recently) in the same area. Today, in Qarat Al Balush, Khamis is the king of the Asiyas. 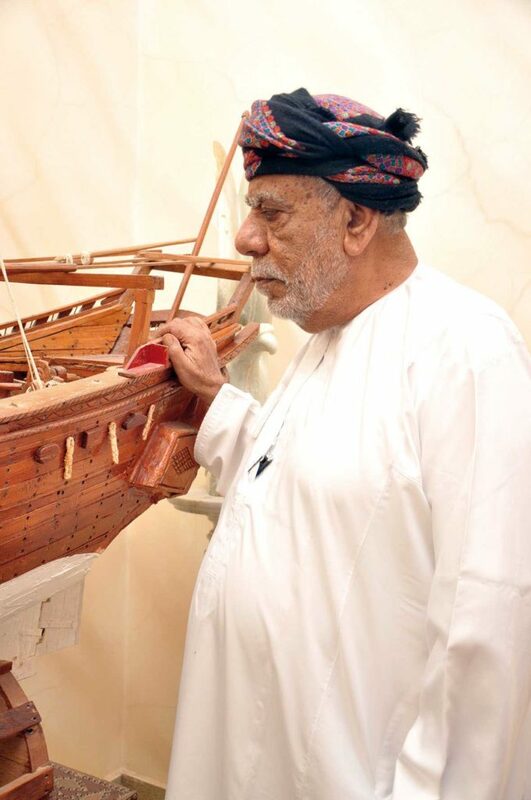 And, in the last 25 years, this master walking stick maker of Oman has made over 10,000 Asiyas. And since he has his own unique style of making the Asa, he is able to recognise his pieces from even a crowd of other sticks. “I can recognise my make even if it is mixed with hundreds or thousands of others,” he said. But, Khamis was not just a stick maker. While he learnt the craft of making Asiyas, on the side, he was also learning to be a mechanic. “I was always tinkering away with my hands and I had a natural propensity for alls things mechanical, so I also explored my interests in cars and soon became a good mechanic, which then became my actual profession.” Khamis interest in the mechanism of cars got him a decent job at the ministry of defence (MoD), where he worked as a supervisor of the MoD workshop. “So many cars, Toyotas, Mercedes etc…, went through my hands,” Khamis, who is now retired from this post, said. The wood selected for the making of an Asa goes through many processes. “It is mainly coloured using natural henna, and then it is weathered using heat and animal fat for days. The fat makes the wood more flexible and it bends in my hands. Once it is bent to the required curve, I tie it up and leave it for hours. The art of bending the wood is a trade secret (smiles). I cannot divulge that, but it is all based on the animal fat and heat. Asa sticks are mostly made from wood. But, not just any wood. Craftsmen like Khamis takes great pain in selecting the right ones as the good ones are, without a doubt, long lasting. The most common as well as popular wood used is from the Otum tree. The roots of Kharat, Hatheeb and Sumr trees are very good and strong for Asiya. The branches of Nimt trees are also commonly used. The Asa used for fighting and self defense is a little shorter than the normal ones. The Asiya from the Sharqiyah region are also short. 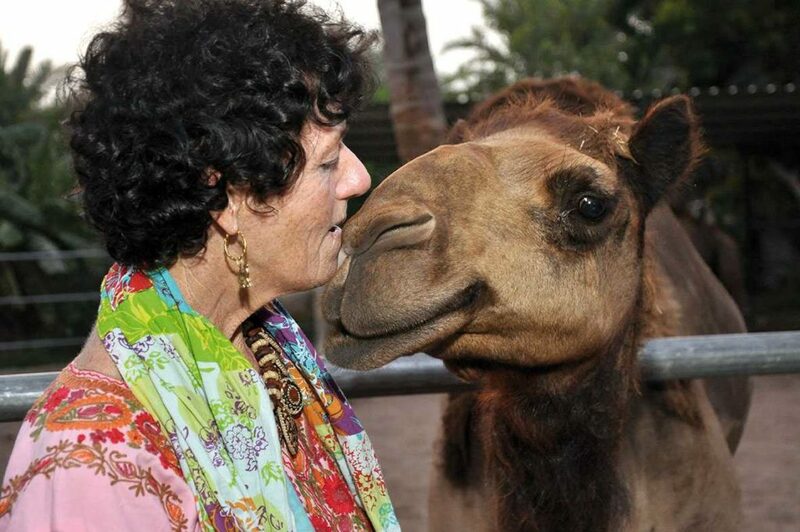 “Every region in Oman has a specific style and I personally feel that the Sur design is the best. It is quite convenient and majestic too. The curve/bend of the Asa determines the region from which it comes. The Sur region design has a wide curve and it is ideal for holding. The length of the Asa is measured individually and is usually measured from the middle of the neck. So it is a little more than the shoulder length. Ideally it should be as tall as a man’s hip, not more or less. The making of an Asa involves collecting wood, cutting it to size, straightening, flattening, perfecting texture, colouring it and finally and most importantly, conditioning it with animal fat and heat. The Ordinary, cheap, ones are made just for show and we use plain oil to condition it. The fat is used to take away the brittle nature of the wood and helps in avoiding breakage, splits and cracks in the long run. “I have a small workshop, custom made for my needs and a tool bag, which includes most commonly used carpentry tools. After the Asa is made, I draw designs, mainly from what I see and conceive of Oman, the hills and forts etc… My daughters paint on it and give it that delicate touch to it too!” Khamis explained. Come Eid or other major festivals and the demand for the Asiyas increase. “During the Holy Month of Ramadan, I am literally overwhelmed with orders,” Khamis said. But, would the Asa survive the test of time, and wouldn’t the current technological advances sweeping throughout the world make such an old art form obsolete? What is the future of the Asa? Especially the making part. Even if the demand is there, couldn’t factories make better, slicker looking Asiyas? Modernity or not, Khamis makes at least one Asa per day. “Oman is a country that is known for its traditional attire and I believe Asa is part of our lives. I am hoping to start a small factory of my own to make mass production of the Asiyas. Carrying an Asa is very much a part of the Arab tradition. “It is a tradition of the region, though the style, design and the usage differs. The Asiyas are found in the United Arab Emirates, Qatar, Bahrain and other AGCC states, but differ in the designs,” Khamis said. In Oman, Asa is a very integral part of daily life, in the earlier years. The stick was used as a multipurpose one, mainly as a self defense weapon. It was also used to carry things, to pull the rope of the donkeys or camels, as an accessory for traditional Omani dances and weddings. Over the years, it became a part of the traditional dress, with Asa being used as a prestige symbol, decorated with silver and other ornamental metal. Arabs believe when used deftly an Asa can be more powerful than a sword! “It is true. I can use the stick properly in self defense. I learnt the art of stick fighting from a very senior friend of mine, Khamis Ramadan Al Balushi, a real wizard Asa stick fighter,” Khamis said as an introduction before he took us to the small abode of this Omani stick martial arts expert. “The art of Asa fighting is known as Mulakaffa,” said Khamis Ramadan Balushi, sitting cross legged in the portico of his home. “It is actually an art of self defense. Mulakaffa is part of the Omani tradition and lifestyle,” Khamis Ramadan said, adding that he could easily defend and protect himself from five to six people at a time. He also noted that when properly used, an Asa in hand was better than a sharp sword. Both Khamis and Khamis Ramadan gave a quick display of the Mulakaffa, with the latter attempting to stave off the ‘attacks’ from the former. “He (Khamis Ramadan) is just humouring me now. When he is in full form, no one can touch him – he can do wonders with the Asa. “I learnt the basics from and I think I can do quite well, so imagine what he would be like,” Khamis said, heaping praise on his modest friend. Today, Khamis Ramadan is still asked to display his Asa fighting skills at events, and other ad hoc competitions, but not in such big scale as before. Some years back, when Khamis Bilal Al Balushi was renovating their old home, he came across an old Asa, probably a favourite of his late father’s. “My father had safely stored it somewhere and he had forgotten about it. “This was a very strong stick, and it was probably around 30 to 35 years old. “I had seen it before and I was also eyeing it since a long time until my father hid it! Khamis worked on the stick and made it far stronger and sturdier than before. Then some years later, the Diwan of Royal Court Affairs ordered Asiyas from Sur, Seeb and Barka. “I made 12 Asiyas, and one of them was this unique piece and send them all off to the Diwan. “The authorities selected two from Seeb, four from Sur and all 12 of mine (in Barka). The 12 were taken to His Majesty the Sultan’s collection. I think till today that has been the biggest moment of pride and achievement for me.